Port Size: 1.82'' x 2.54"
Does Fel-Pro 1275 fit your vehicle? 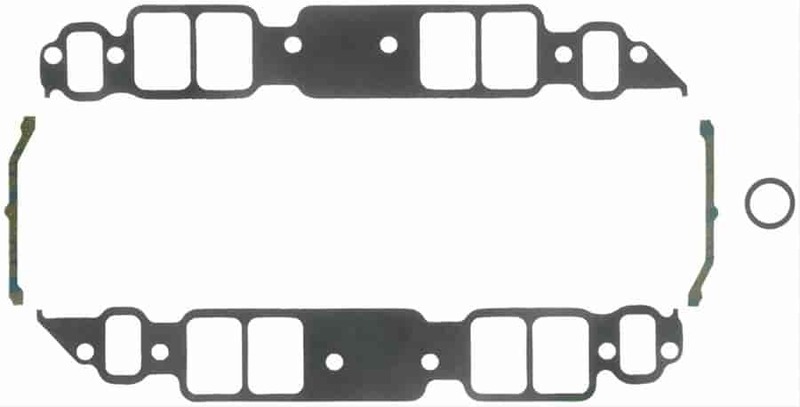 1275 - Fel-Pro Intake Manifold Gaskets is rated 5.0 out of 5 by 5. Rated 5 out of 5 by quartermilechevy from Top quality There is no substitute for great quality. The local store carries several brands, but is limited to standard performance products. One can never go wrong with Fel-Pro. Rated 5 out of 5 by Jerry1926 from Excellent product Great service, fast shipping as usual. That is why we are returning customer!!! Always quality products.